Peter Robertson has been involved in music ministry for about 30 years during which he has been the head of the music departments of Lakeside Christian Centre and Rhema Bible church on the Gold Coast. He has released numerous solo CDs as well as a brand new release, “Devotions 2: Promises of peace” with his wife Cristie. 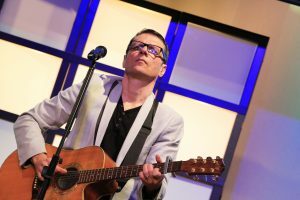 Peter Robertson has also been a featured artist on many other worship CDs as well as a producer for numerous worship artists. Peter and Cristie, through their worship and preaching , have a passion for people to know who they are in Christ and to empower people to rise up to be everything that the Lord paid so dearly for them to be. 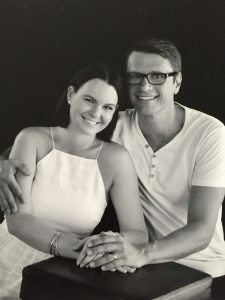 Peter and Cristie Robertson minister in churches, conferences, family camps, youth camps and worship seminars both nationally and internationally as Worship Ministries International. Cristie Robertson first sang in church when she was a little girl and has a real passion for worship. She has also sung professionally and has been involved in the the music industry in a number of capacities for many years. 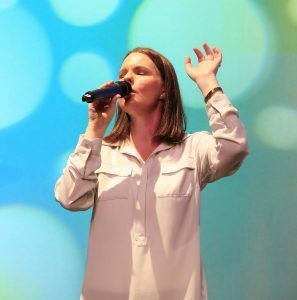 Peter and his wife Cristie travel to churches and conferences throughout Australia and overseas holding worship seminars and ministering in word & song. Peter has also travelled extensively with Col Stringer nationally and internationally. I can still remember when the Lord began to stir my heart about concentrating my whole ministry on Worship. He had instructed me to change the name of the ministry from Peter Robertson Ministries Ltd to Worship Ministries International Ltd & from then on to focus my ministry on worship, where before hand I used to preach on virtually any subject after singing a couple of worship songs. I still remember thinking, “who on earth is going to want me to come to their church & minister in & on worship. Anybody can do that.” It was then that the Lord really began to challenge me that I had a very limited view of worship. Many of our churches preach wonderful messages on faith & healing, but it is easy for us to impersonalise the Word & forget that Jesus is the Word (John 1:1). We all know that Faith comes by hearing, and hearing by the word of God (Rom 10:17) but when our people learn to worship Him with selfless abandonment, and have a vision for what happens when Gods people truly worship Him, we will see the glorious things that we are all believing for in our churches. Lets get with Gods vision for worship & become the glorious church that we are meant to be.